The Fuik harbor is privately owned and located on the South coast of Curacao, 11 km SE of Willemstad, Next to the mining operations. Vessels with LOA 109.7m can enter this port. Anchorage: There is an anchorage area to the west side of the bay up to 15m deep. Berths: There are two berths at Fuik harbor, one for loading and one for discharging. Loading takes place using a cantilever conveyer and loading tower with an 8.53m fixed arm (loading rate 250 tph). A 25.6m berth is used for unloading explosives and general cargo. Depth alongside is 6.7m. No transit sheds are available. Bunker Facilities: There is equipment to supply fuel from Curoil. Fresh water: is also available through water trucks. 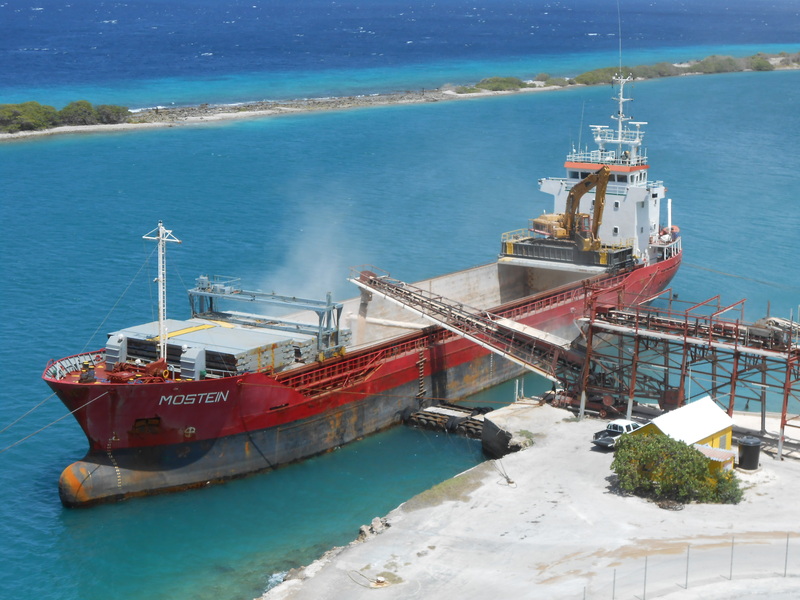 Ballast/slop reception: Available in main Port of Willemstad.